Chachi (1989) expressed in Ph.D thesis entitled “Islamic Banking” that Islam may lead to a more just and more beneficial way of development, through the western and pro-western economists believe that interest is a must for financial and economic development. The empirical analysis in the study showed that Islamic banking is more appropriate and more relevant to the economic growth and development. Shallah (1989) made a study on Islamic Banking in an interest based economy; A case study of Jordan “The dissertation examined the viability of Islamic Banks and financial institutions in an interest based economy which contradicts their ideals. The study was particularly with the experience of Islamic Banking in Jordan and it provided an examination of the structure of the economic and financial system of Jordan”. The findings of the research showed that the Jordan Islamic bank has proved viable compared to interest based banks on Jordan. Ahmed (1990) has showed in his Ph.D thesis entitled the contribution of Islamic Banking to economic Development. A case of the Sudan that the Islamic banks investment and in short term and (trade) finance and have done little to promote long-term (equity) finance. The researcher also found that these are different factors affecting this role such as the character and strength of demand for financing productive projects. The attitude of Islamic Bank’s Management, Govt. policies and the structural rigidities characterizing the Sudanese economy. The finding showed that the religious element is ranked first in importance for customers. The competitive service and wide availability of services ranks after the religious element. Ahsan (1988) stated in his articles Islamic and Modern Banking System “some principle and objectives of the Islamic and conventional economic system”. He viewed that Islamic banks perform the essential function of financial intermediation between the savers and investors. While the conventional banks assure guaranteed return to the depositor, leaving the risk of investment entirely to the barrowers. Ahmad made an important study entitled “Lending Risk Analysis Implementation: Problem and Prospects”. He discussed objectives, problems & prospects of LRA. The objectives of LRA are to assist in bringing changes successfully to the existing lending policies, such as to develop methodology for analyzing lending risk, to improve the LRA for all types of decisions, to ensure the proper security and implement the whole mechanisms. LRA is the output of FSRP, for the sanction of loan Tk. 100 core and application of LRA techniques by the bank has been made compulsory except for BSB, BKB& RAKUB. LRA becomes effective when proper monitoring is done after sanctioning of any projects. Once the cash flow of the borrower is in consistent with the earlier period, no risk is there but in the reverse case, deterioration is found, and early detection is better for early rectification. He realized the major problems related to LRA. There is lack of homogenicly in LRA manual, lack of industry average, competitor’s data, etc. There are also problems in judging integrity & honesty of management. A bank is usually defined as a financial institution which deals in money. Today, however, the functions of a bank have increased so much that it is considered a very vital agent of development in country like ours. Because of their positive involvement in trade, industry, business finance and a host of others allied services; banks today form a very important part of an economy. Lack of quality of services. Minimum of commitment toward institutions. Excessive intervention of collective bargaining agent (CBA). Documentation of loans and advances debarring legal action in case of default. Slow rate of recovery of loan. Lack of supervision and monitoring of loans and advances. Transitional inconsistency while formulating policy issues on banking. To reduce deficit of the Govt. to meet continuous loss of public enterprises. To improve operative efficiency of enterprises. To introduce competitiveness in all spheres of economic activities except few areas where Govt. Control of economic activities was unavoidable. According to the Council of Foreign Affair Ministry of organization of Islamic Conference meeting April 1978 in Senegal, Islamic Bank is a Financial Institution, whose stratus, rules and procedures expressly state its commitment to the principles of Islamic Shariah and to the banning of the receipt in payment of interest on any of its operations. In 1983, The Parliament of Malaysia passed an Act named Islamic Banking Act 1983, in which the definition of it is given that Islamic bank is such a company that is cooperated in Islamic Banking business and Islamic Banking business is such a business that has no factors in its motives and procedures as is not prescribed by Islam. According to Islamic Banking Act 1983 of Malaysia, an Islamic Bank is a “ Company which caries on Islamic Banking business, Islamic Banking business means banking business whose aims and operation do not involve any element which is not approved by the religion Islam.” In fine we can say Islamic Bank stands for an alternative financial system based on Islamic Idea of social justice and fair deal for all. The newly established IBBL was doing well in terms of deposits, investment, total income, total assets, total equity, total assets, total employees and expansion of no. of branches in the different areas at the district level in Bangladesh during 1996-2007. Also Bai-murabaha & hire Purchase under Sherkatul Melk was the great contribution of investment for IBBL. But Mudaraba & Musaraka investment should be increased in future, while their position was lower. For this reason the gradual development and expansions of bank product of IBBL have been able to win and attract good response among the financial circles of Bangladesh about the viability of IBBL as an Islamic Bank. IBBL has created the positive change in business growth & trading growth including import & export earnings. Not only has that it also changed the traditional banking activities other than that traditional bank. Practically when all the banks are facing the different problems in the advances & loan sector, then lending risk analysis has been prescribed as a significant package program to avoid the various risks in the fund management of the commercial banks in Bangladesh. 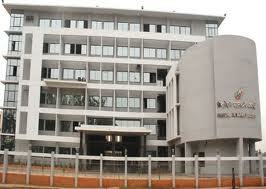 Other then IBBL contribute economic growth increased day by day in Bangladesh. So, IBBL does not face any kind of economic problem. 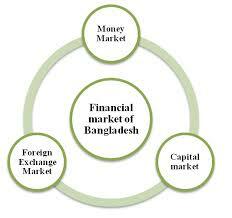 Although it has created vast effect on economic & development of economy in Bangladesh. Annual Reports of IBBL during 1983 – 2009. Saidur Rahaman-“Implementation of lending risk analysis (LRA) in lending operation of Bank Parikrama, Quarterly Journal of BIBM, Dhaka, Bangladesh, vol. xxi, Nos. 1&2 March- June, 1996, pp. 150-166. Ahmad “Lending Risk Analysis Implementation: Problem and Prospects”. Bank Parikrama, BIBM, Vol. XI, No. 1-2, 1988, pp. 23-29. Lending Risk Analysis Manual Financial Sector Reform Project, Dhaka, Bangladesh, June, 1993, pp. (11 overview 2-7). ———————, Annual Reports of Banks, Dhaka, Bangladesh.